It was a busy Friday that started with an early Skype meeting with our overseas clients- one at home in Bangkok and the other away for business in Nairobi. To make it work for everyone we met at 6:30am PST. We’ve held dozens of meetings this way over the year and a half we’ve been planning and remodeling their home. This was a quick catch up on project status and a review of some design ideas for their expanded back patio. I use zoom.us for sharing my screen with them which allows me to show them the 3d model and get their feedback as if they were sitting next to me in my office. Pretty cool! Next up we had back to back new job measures. One for a 1965 daylight ranch on the Washougal River where we’re planning a complete update (check out the video to see some crazy settling!). The other for a client we’ve done several projects for over the years including the amazing custom walnut and maple closet system, bed frame and nightstands we did last year. This next project will be a complete re-do of their two level deck including adding a built in grill and counter area. Next up, we checked in with Jason, Porter and Cody at the Evergreen Hwy Remodel. This project can barely be called a remodel- we’re reusing some of the existing foundation and floor joists, but everything else is new including an additional 1800sf of living area and 3-car garage. The guys are working on the new floor system after leveling off the existing one which was about 3/4″ out of level. 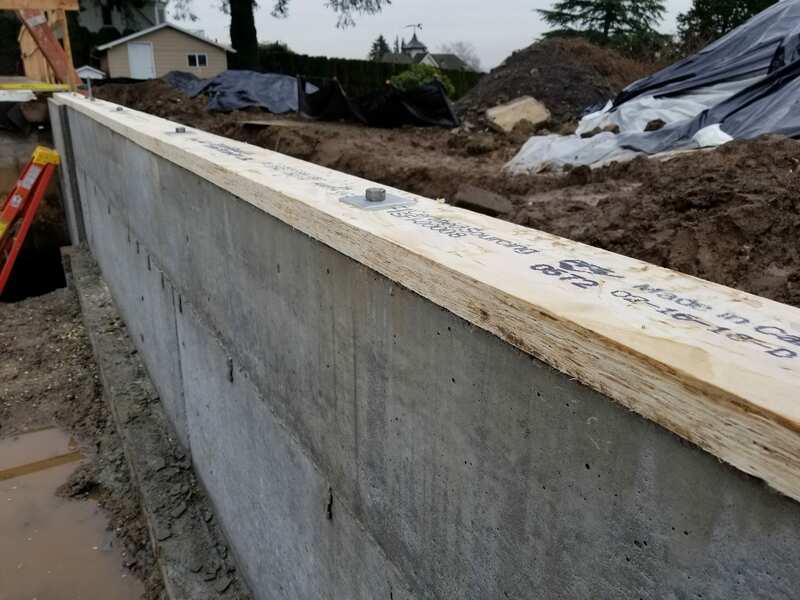 We’re using StrandGuard LSL sill plate for areas where we’re hanging joists inside the foundation rather than on top with a rim joist. We do this where concrete patios and sidewalks will be placed against the house so we don’t have concrete meeting the wood floor framing. Last, but not least, a visit to our shop where the guys are getting ready to ship a big set of curly maple bookcases. I love the character of the curly maple- so much depth and interest! Jerell is assembling the rolling ladders which we think are going to look and work awesome. Oh, let’s not forget about (much to Mrs. Kashas’s dismay) our latest tool purchase. 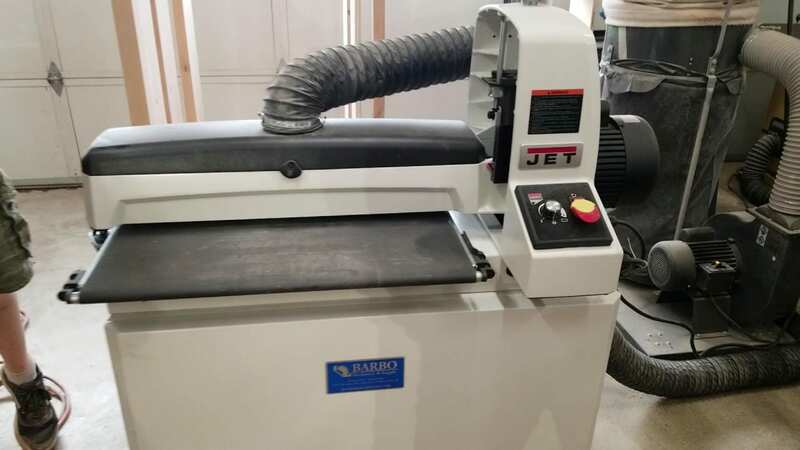 A little ol’ Jet drum sander. Can’t wait to see what the guys can do with this thing!